One of my most memorable holidays was a summertime heli-hiking vacation in the Canadian Rockies with Canadian Mountain Holidays. And, it delights me when a company that’s already great, does something even better. Case in point, the new “CMH Summer Adventures” (formerly CMH Heli-Hiking). As if heli-hiking wasn’t exciting enough, they’ve added ropes courses, zip-lining, via ferrata, yoga getaways and women’s weeks-and brand-new for this year, painting and cooking workshops, cancer survivors’ retreats and exclusive trips with great Canadian explorers to their summer lineup. The CMH Summer Adventures season will run from July 6 to September 7, 2010. See details below. The new Summer Adventures for 2010 will include a unique opportunity for active and creative types to participate in a Painting Workshop with Liz Wiltzen in the Bugaboos (August 31-September 5). Liz combines 10 years of guiding experience in the Bugaboos with 20 years of painting, to provide guests with real-time hiking experience in the storied Bugaboos, as well as hands-on artistic guidance in the painting of them. 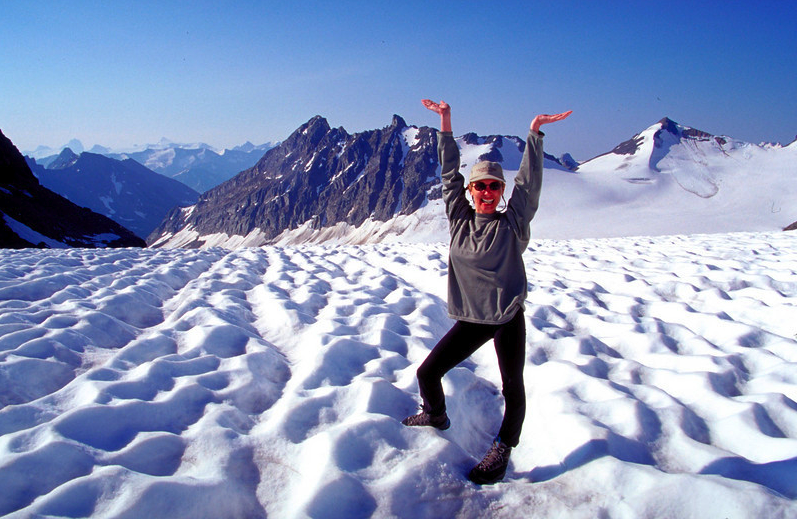 With CMH’s new Stretch & Stir cooking workshop, guests can join sisters Sandra Davis and Julie Sagan in an alpine experience that mixes yoga, cooking and Heli-Hiking in the iconic Bugaboo Mountains (August 20-23). Chef Sandra Davis creates mouth-watering delights from her catering business The Saucy Gourmet, while her sister, yoga master Julie Sagan, stretches her clients at the Bikram Yoga West Edmonton Studio. Also new for 2010 is reTREAT Yourself, a CMH Summer retreat for cancer survivors, co-presented by Look Good Feel Better. The retreat, which will take place at Bugaboo Lodge, August 8-11, will include daily meditative yoga sessions with experienced practitioner Anne Douglas; hiking amid glacial lakes and fields of wildflowers; and artistic workshops, including soapstone bear carving and bead work, with special guests Sherry Abbott and Dr. Marilyn Hundleby. And finally, CMH Summer Adventures guests can join world-renowned Canadian explorers, Dr. Joe MacInnis (July 24-27) andDr. Roberta Bondar (August 17-20), for exclusive expeditions in the Bobbie Burns and Bugaboo ranges, respectively. Dr. MacInnis is a best-selling author and conservationist who led the first team of scientists to dive under the North Pole and was among the first to dive to the Titanic. Dr. Bondar is well-known as Canada’s first woman astronaut and the world’s first-ever neurologist in space. CMH Summer Adventures trips are priced from CAD$2,490 (approx. US$2,447) per person for a 3-night escape, based on double occupancy and exclusive of HST. For more information, please visit: www.cmhsummer.com.